It is interesting to note that in future, there is a plan to connect the North Borneo (Sabah) State Railway line that begins in Jesselton (Kota Kinabalu) right up to Kudat, at the tip of Borneo. Then there is also a plan to start a ferry service between Kudat (Malaysia) connecting with Puerto Princesa in Palawan, Philippines. At this moment, there is already and existing rail connection between Jesselton and Tenom, the heart of the Murut-Lundayeh country in the heart of Borneo. Just imagine, if these plans materialized, the tourists visiting the Palawan Island could venture into Borneo using the ferry to reach Kudat. Then from here, they could take the train and travel to Jesselton and end their trip in Tenom. Tenom is the capital of Tenom District; one of the many districts of North Borneo. It is 176 kilometers from Jesselton, the capital of North Borneo, and 128 kilometers from Long Pasia. Long Pasia is a very interesting and famous place. It had some sort of a temperate and pleasant climate because of its high altitude. It is also the home to a beautiful tribe called the Lundayeh. Long Pasia is the border town of North Borneo (Malaysia) where on the other side is Kalimantan (Indonesian Borneo). 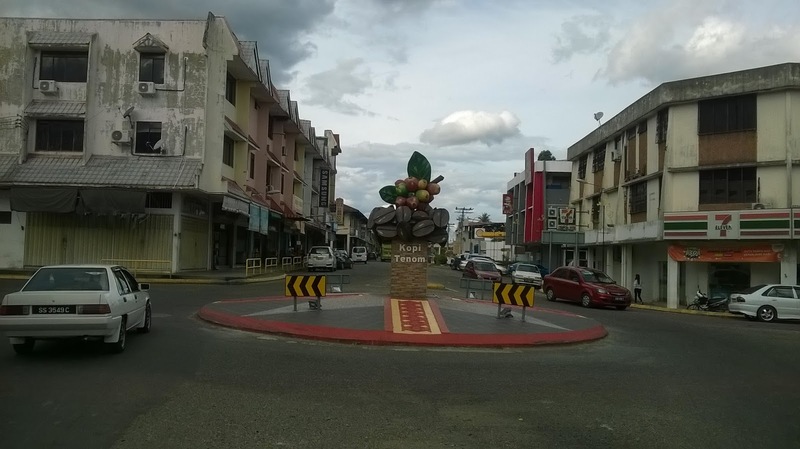 Tenom is a bit unusual because it is the only town in North Borneo where the main highway pass and cut through the center of the town; just like some Mid-Western towns in the United States! Tenom used to be called Fort Birch by the British colonial government. In those days, Tenom was a hostile environment; deep jungle infested with wild animals. Insects were not only annoying but dangerous; especially mosquitoes which carry the dreaded parasites called Malaria. So why did the British took the trouble to open up Tenom? After all it was because of Tenom, they built the railway line connecting Jesselton to this remote place. 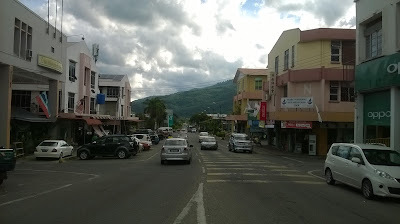 The answer is; Tenom is a fertile plain very close to the mighty Padas River. With good soil and ample water supply, the British started rubber plantation here bringing in a lot of Chinese laborers. Soon the Chinese started to plant fruits and vegetables and until today, Tenom is famous for its agricultural products. The most famous is the Tenom Coffee. A retired United States naval officer told me he loves Tenom Coffee more than the Colombian Arabica! For me, I love the Lok Chai, the juicy sweet pomelo (Citrus Maxima) sometime called the Tenom Pomelo. Pomelo is one hell of a big orange! Sometimes I wonder; why do people need to import oranges when we have such a huge one in our backyard in Tenom! It is cheap, taste good, full of vitamins and big! 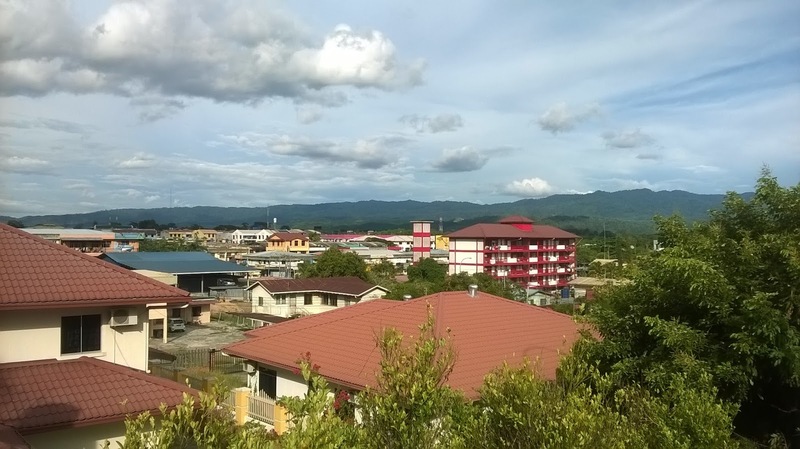 There are several reasons why you should visit Tenom. Firstly, Tenom has this fabulous 400 acres Sabah Agricultural Park at Lagud Seberang. It is just 15 minutes casual drive from Tenom Town. Then you have the Tenom Coffee showrooms all over this small town. Passing these showrooms is awesome as we can freely sniff the wonderful Robusta aroma. You could also experience the train ride from Jesselton to Tenom. Along the way you could see the Padas River flowing and the last remaining forest dotting the landscape. Then you have the Murut Cultural Center, which is a small museum displaying the history and culture of this famous tribe.